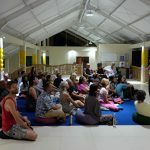 It was with deep honor that we could welcome Marko Pogacnik (http://www.markopogacnik.com) UNESCO Artist for Peace and Earth Healer, to Bali last week! Marko is an artist and author from Slovenia. He has developed different methods of perception, interpretation and healing of places and landscapes, among others the acupuncture of the Earth and Gaia Touch body movements. 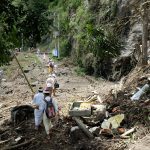 His perception before he came to Bali is that this special Island has several qualities that are needed in the world at this time of great changes. They are in a sleeping state and need to be recognized and celebrated. A special quality of the heart is one of them. Together with Tjok Gde Kerthyasa (www.tirtausada.com) and Ketut Sedana we organized a lecture and a two days workshop with Marko. 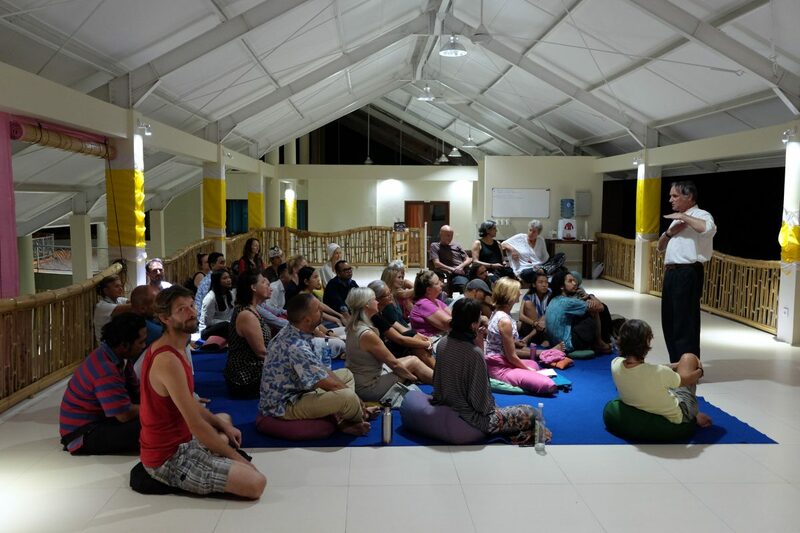 Tjok Gde, hailing from Ubud and embodying a long line of cultural and spiritual leaders in the community, is a well-known homeopath and holistic medicine expert. 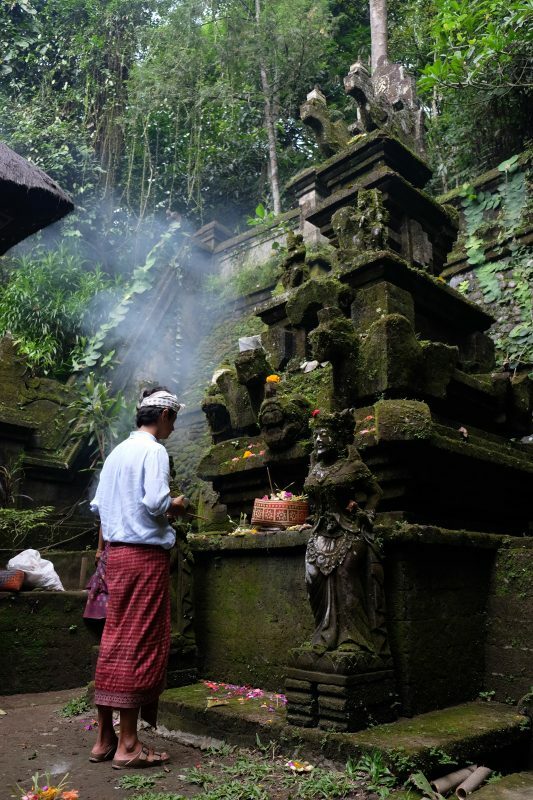 Ketut Sedana hails form the mountain village of Pengotan in Bangli where he farms organically and assists people in their healing journey through his knowledge of Balinese healing. 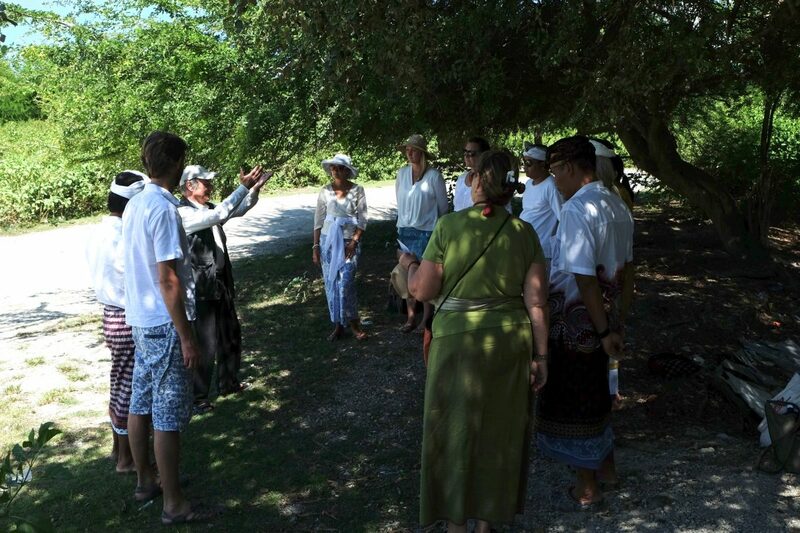 With a group of 15 people from different countries all over the world we visited some of the most important places for the energy system of Bali. 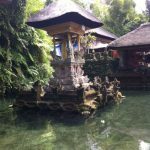 „Bali is located in the centre of the Indonesian archipelago. Bali in the relationship to mainland Asia, represents the base of the throat. 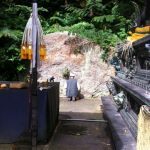 It is a place where the creative impulse of Gaia is released into the sphere of Asia. The Indian Ocean is the source of the creative impulse of Gaia. 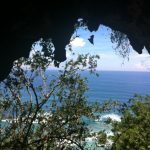 Bali’s southern peninsula island receives this impulse from the Ocean in order to transmit this impulse to the nine volcanos at the northern part of the island. The volcanos with their magnetic forces receive the impulse underground from the Ocean. 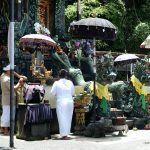 It is the dragon power of the volcanos that is able to transport the creative impulse from the Indian Ocean underground to the heights at the very north of Bali, where 9 volcanos are located. Within the ring of fire of the volcanoes the creative impulses received from the ocean are transformed into life enhancing powers. 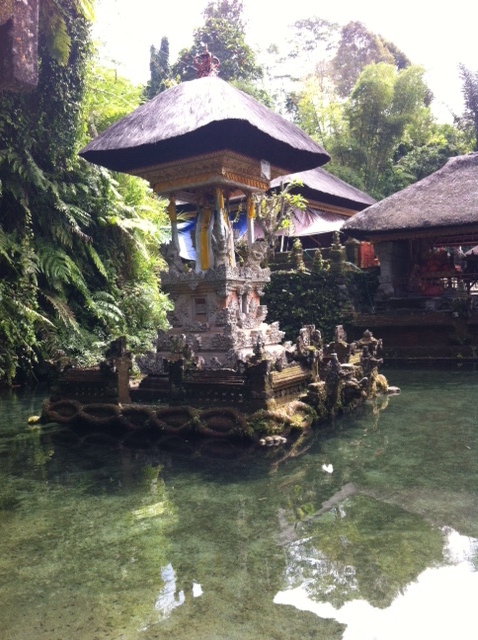 The water of the lakes situated below the volcanoes receives the information of the transformed powers and distributes it as life force throughout Bali. 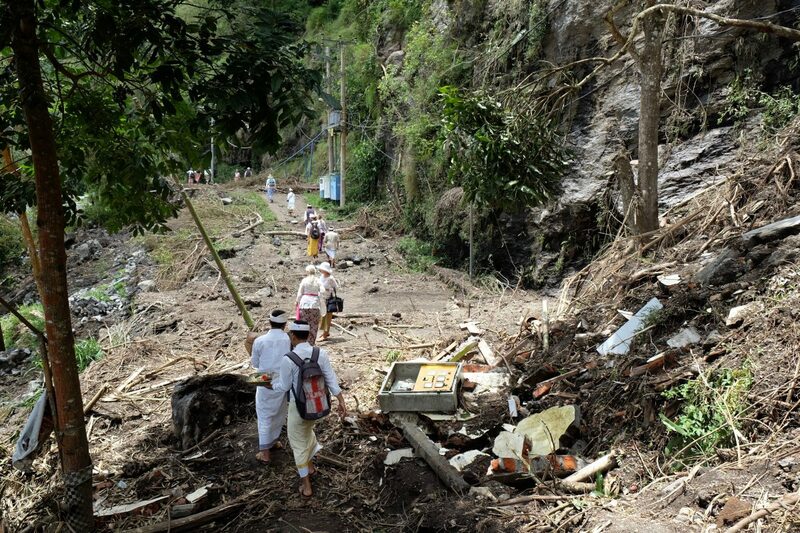 This works with the help of innumerable water flows and water channels. 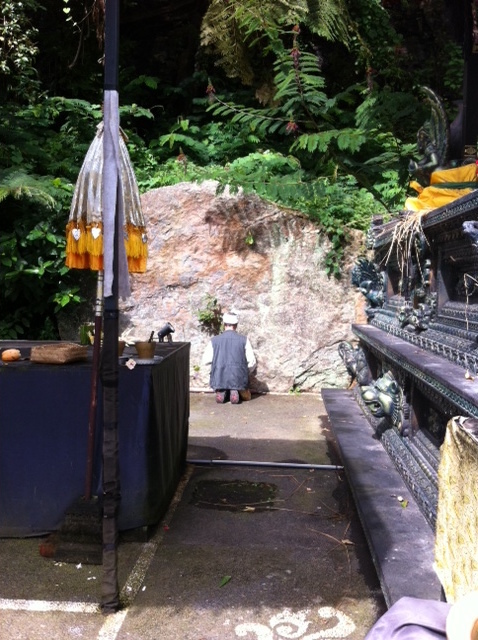 Based on this process, the second role of Bali is to keep alive the connection between all the different levels, beings and dimensions of the earthly cosmos. 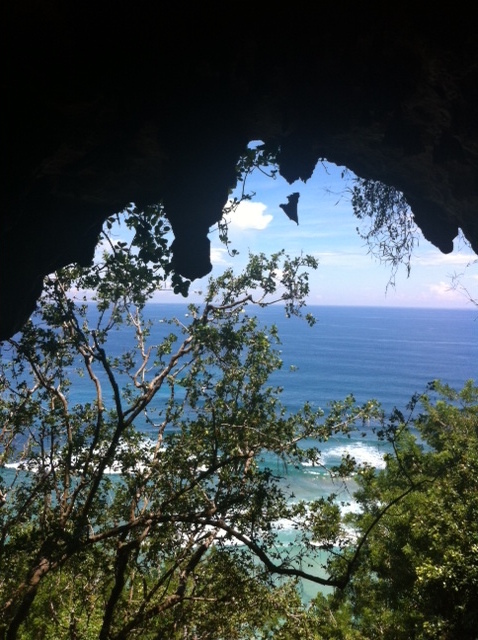 In this way Bali is holding the connection to the source of Gaia’s creation. 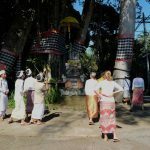 The human culture of Bali is an excellent example of how to continuously celebrate the strong connection to the creative source of life. 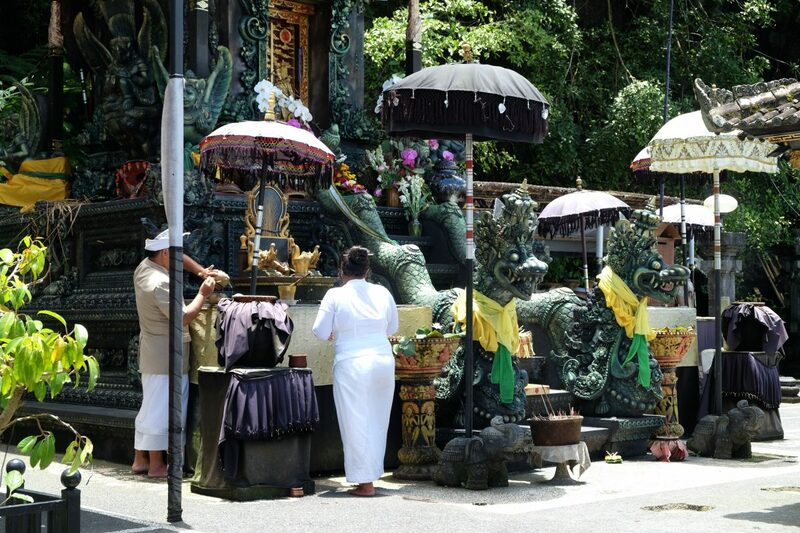 The huge amount of temples in Bali and the ongoing ceremonies make it possible for the subtle worlds of Earth and the Universe to be present on Earth in every single moment. Thank you Marko for coming to Bali and thank you all for these unique and wonderful experiences we could share!! Thank you Dominique for your beautiful photos! I am so very grateful. Habe alles mit großem Interesse gelesen. Kenne einige Bücher von ihm.